Sir Harold Wernher, 3rd Bt. (1893-1973), Luton Hoo, Bedfordshire, in his personal Study, and by descent. 1913 Luton Hoo Inventory, p. 20, no. 74, in the Library. The signature is probably that of Simon-François Festeau, recorded at rue Saint-Martin, 1772-8, rue Montmorency, 1780, and rue Montorgueil, 1789. 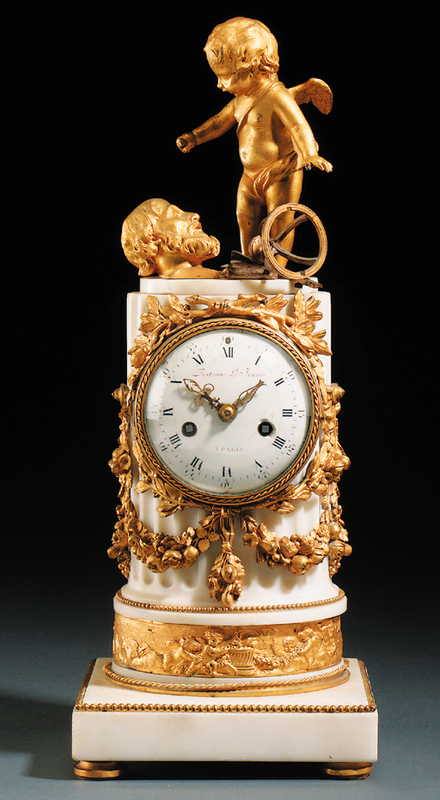 Between 1776-81, he was charged with the upkeep of the clock in the Bastille.